Happy Valentines Day! With Valentines being predominantly about love and also being a very popular day for proposals what better than a wedding related blog post? Wedding websites are becoming a hot trend with bride and grooms to be. Why? Because it's the perfect place to keep people up to date. It can even replace the traditional invitation if you wanted to be so bold! We asked our Operations Manager David and he said: "We did both. By sending out invites it allowed us to follow the age old tradition of postal invitations, but by placing the website URL on the invite it gave the more modern guest a way of finding out the information they needed without worrying about paperwork." We have had some recent engagement news in the office, two of our project managers are steadily planning for their big days! Wedding planning can be stressful, emotional and frustrating all at the same time, but it should be a process that you enjoy doing, after all it's your big day! This case study shows a wedding website we created just recently. 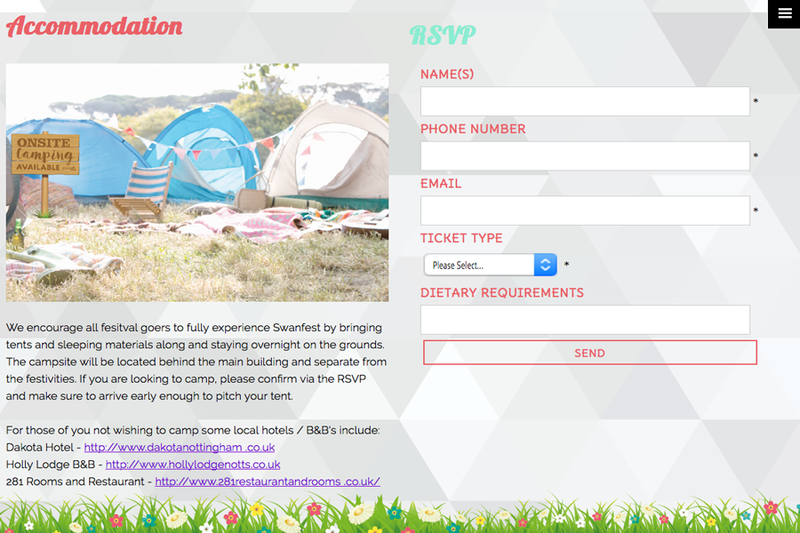 As you can see, the RSVP form means that people simply RSVP through the website meaning you get a notification to say when someone has done it. The perfect way to keep track of guests who are or aren't able to make it. The client said: "It's a cool, modern and simplistic way of telling all your guests where and when your big day is. By putting it on to a website you can share the site across all social platforms and get the word out easily and quickly." This case study also shows that you're able to have a bit of fun with the page as well. Let your guests get to know you. You could have a section about how you met, as well as the details about the big day and what to expect. 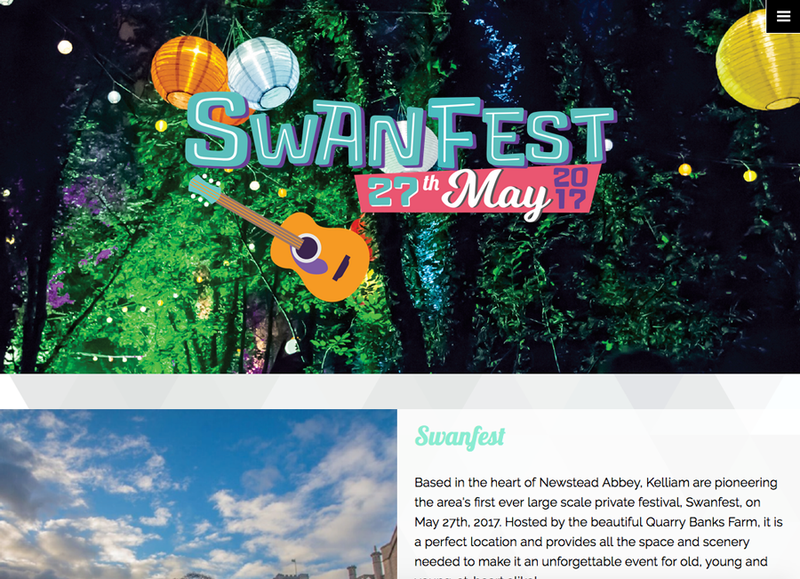 He also said: "the website acted as a single point of contact for all things Swan Wedding related. By using a website we could confirm location, local accommodation, the days schedule and give visitors a bit of information around the key people on the day." This website features a handy section that has accommodation information for those that need it. It's always good to have a place for people to come to find all of the details they need for your big day. And once the wedding is over, (because it goes so fast!) you can update the website and share images of the day with your guests that attended. You can even thank all of your guests on the website too. Take a look at the website in full here. For our Operations Manager David, he said that his website benefited him and his bride because "The website made gift list management far easier, as by posting a link to our dedicated gift list, it made it far easier for guests to find and buy gifts for my wife and I on the day." It means less hassle and more automation than manual processes to complete running up to the big day. Simply get in touch with us today to discuss your requirements. A one page website is all you need! We look forward to hearing from you.